The Cheetah is a large, slender cat that live in sub-Saharan Africa, and in eastern and southern African parks. Cheetahs can also be found in small numbers in southern Algeria, northern Niger and Iran. The Cheetah is the fastest land animal on the planet. They are members of the family Felidae, which includes the tiger, lion, jaguar, leopard, snow leopard, and other big cats. Habitat: Dry Grasslands, Scrub Forests & Savannahs. Cheetahs are found in open and dry grasslands in the Sub-Saharan region of Africa, although they were once widespread throughout Africa and Asia. The majority of Cheetahs today inhabit natural reserves or parks. Cheetahs in the wild typically live between 10 – 15 years in the wild. Some can reach 20 years of age while in captivity. The Cheetah has a slender body with long legs and is clearly designed for speed. They are tan in color with a massive covering of black spots all over the body. The unique patterns of the spots are as distinctive as fingerprints are on humans. Cheetahs are easy to distinguish from other large cats as they are smaller in size, have a smaller head and ears than most other cats, have a spotted coat and carry what are known as tear stripes that run from the corner of each eye to the side of their nose. These meat eaters typically hunt and eat impalas, wildebeest calves, gazelles and other smaller hoofed animals. They are diurnal, which means they hunt during the day and rely on tall grasses to hide when on the hunt. Cheetahs mostly hunt in either the late morning or early evening. A typical chase can last between 20 and 60-seconds with only half of them being successful. They have large non-retractable claws that are used to prevent skidding when cornering quickly, and to pull down an animal. 1. Cheetahs are the fastest land animal in the world. 2. Cheetahs don’t simply rely on their speed, they anticipate the escape tactics of different prey when hunting. 3. The Cheetah tail helps them steer at high speed. It may look large and cumbersome, but when on the chase, the tail of the Cheetah plays an important role. It actually helps to steer the cheetah as it runs, like a rudder on a boat. Due to the energy required to run at such speed, cheetahs can only maintain a chase for between 200 – 300m. If a hunt isn’t successful after 1 min, they usually stop to rest. 5. Fossils have revealed that Cheetahs date way, way back. Carbon dating has estimated the age of some cheetah fossils as being between one and two million years old. Unlike big cats like the lion, cheetahs are unable to roar. They are closer to your domestic house cat in that they can purr, both inhaling and exhaling. 7. Female adult cheetahs often live alone. Known to be typically solitary animals, females raise their cubs alone for about a year before they leave. Male cheetahs sometimes will live in a small group of brothers from the same litter. 8. Cheetahs abandon around 10% of kills to larger predators. 9. The cheetahs spots act as camouflage. The cheetah can have between 2,000 and 3,000 spots, to help it blend into surroundings when hunting or hiding from predators. 10. There is no end to the cheetah mating season. Cheetahs can mate any time of the year with gestation lasting just three months. A litter can range between 2 and 4 cubs. 11. Cheetah cubs have a very different coat to that of adults. The cubs have a smoky colored, long, wooly coat called a mantle. It runs down their backs and acts as a form of camouflage. It helps to conceal the cubs and their mothers assist in this by constantly seeking places to ‘hide’ them to protect the cubs from predators until they are old enough to take care of themselves. 12. Cubs get moved around a lot. Female cheetahs will move their cubs to different hiding places every few days. Once the cubs reach 5 or 6 weeks of age, they will follow their mothers and even start eating from their kills. By the time the cubs reach one year of age, they are hunting on their own. At 15 months, they will move away from their mother and either find a mate or sometimes live in a small group. 13. Cheetahs are not that thirsty…for water that is. Having adapted for life in an environment where there is little water, cheetahs can go three to four days without a drop of it. That doesn’t mean that they don’t actually get any liquids at all. As it turns out, cheetahs are able to draw water from the animals they hunt, kill and eat. 14. Cheetahs start families early. The male can reproduce at the age of one while females can begin rearing families at the age of two. The pairing is mostly random as cheetahs will mate with many different cheetahs during their lifetime. 15. Females end up raising their young alone. Males do not participate in the rearing of their young however, females have been described as caring, affectionate and dedicated mothers. 16. 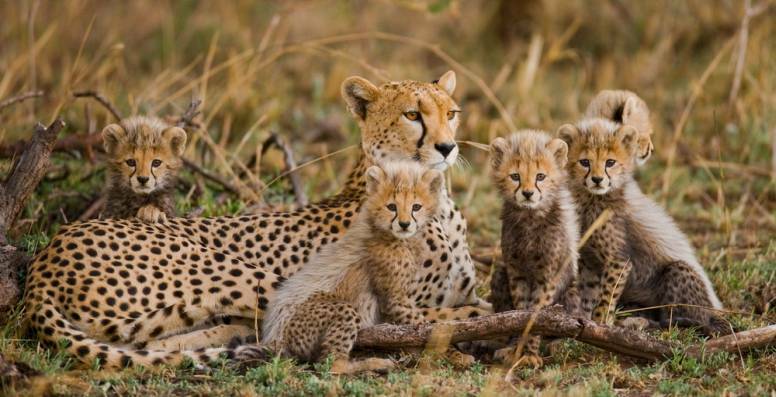 Cheetah cubs have a shockingly high mortality rate. 17. Cheetahs can do something no other cat can do. The Cheetah is the only big cat that is capable of turning in mid-air while sprinting. 18. 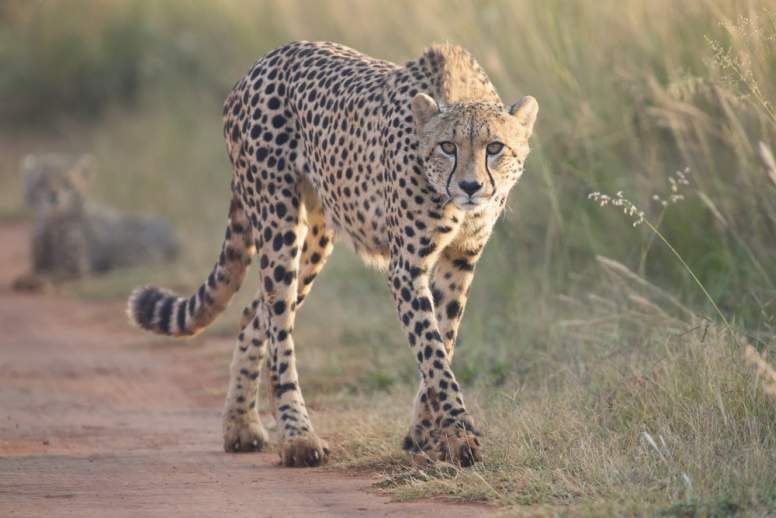 It’s a myth that cheetahs abandon hunts due to overheating when running. Two Harvard scientists in 1973 set-up an artificial experiment in a laboratory, that that concluded a cheetah would be forced to stop running when their body temperature reached 40.5 degrees Celsius. 19. Cheetahs have been around for a very, very long time. Sumerians trained cheetahs for hunting back in 3000 BC. The Indian (then Hindustan) ruler Emperor Akbar had 1,000 trained cheetahs he used for hunting while in power from 1556 to 1605. Even King Tut’s tomb (1400 BC) contained various cheetah artifacts. It was because of this that historians believed that the cheetah was a sacred animal to ancient Egyptians. 20. Cheetahs are slowly disappearing from the planet. “The Truth About Cheetahs” (2014), via BBC Earth. 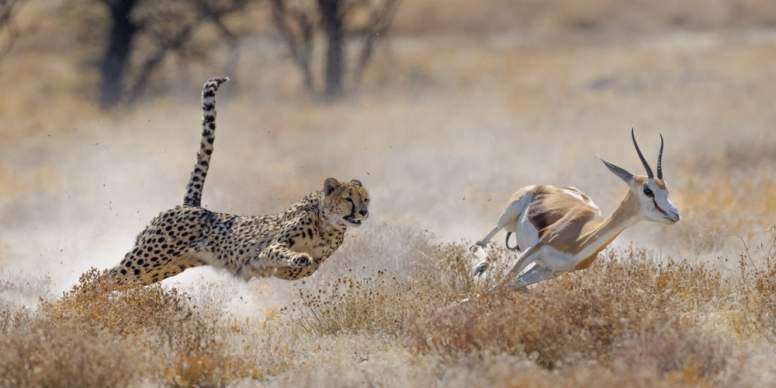 “New insight into how Cheetahs catch their prey” (2013), via Science Daily. “Cheetahs’ Secret Weapon: A Tight Turning Radius” (2013), via NY Times. “Five Things That Might Surprise You About Cheetahs” (2017), via BBC Earth. “It’s a Myth That Cheetahs Overheat While Hunting” (2013), via National Geographic.